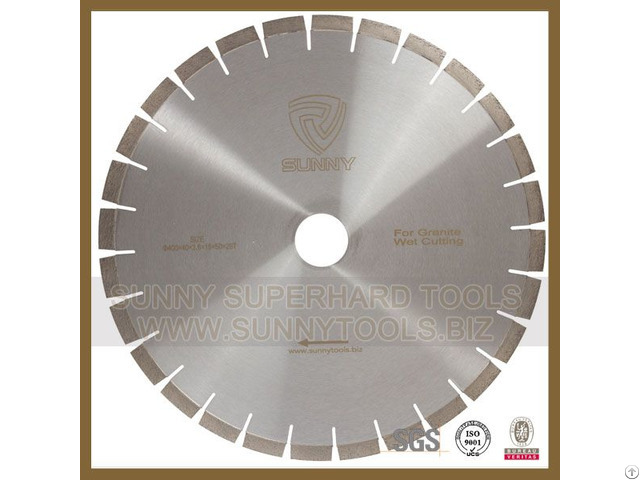 Sunny premium blades are designed for fast, high production cutting of granite.sandstone.marble. limestone..etc. For slad edge cutting of granite.sandstone.marble. limestone.ect..suitable for bridge cutting machine, manual handing cutting machine or table cutting machine. The sandwich core of blank could be designed to reduce noise over 95% than regualr core. It will bring you good working environment. Long lifespan and aggressive cutting with stable performance. Design the segment bond according to your different stone hardness, abrasiveness, machine parameter. 1. Fast cutting and Long life. 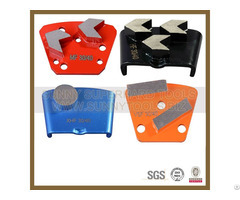 Posted By: QUANZHOU SUNNY SUPERHARD TOOLS CO.,LTD. 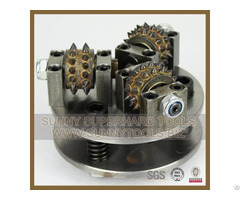 Quanzhou Sunny superhard Tools Co.,Ltd. is a professional diamond tools manufacturer. Factory is located in Quanzhou, Fujian province, China, covering 1500 square meters. Our technical team which consists of senior engineers devoted to research and develop diamond tools in different function for decades. Under the ISO9001 quality control management system our company have passed BV,SGS certificates. At present, our products are mainly applied to cutting and polishing natural stone, concrete,asphalt and ceramics etc. With strictly quality control system, our products are widely recognized by our customers from more than 100 countries, including USA, Mexico, Brazil, Russia, Ukriane,Italy, Egypt, India, Saudi Arabia etc. Our company will keep improving to meet more customer’s expectation and requirements. Our mission: To Be Leader In Diamond Tools Industry Field.